A beautiful encounter in the twilight zone, near the third drop of the boat pass North of Mayotte. 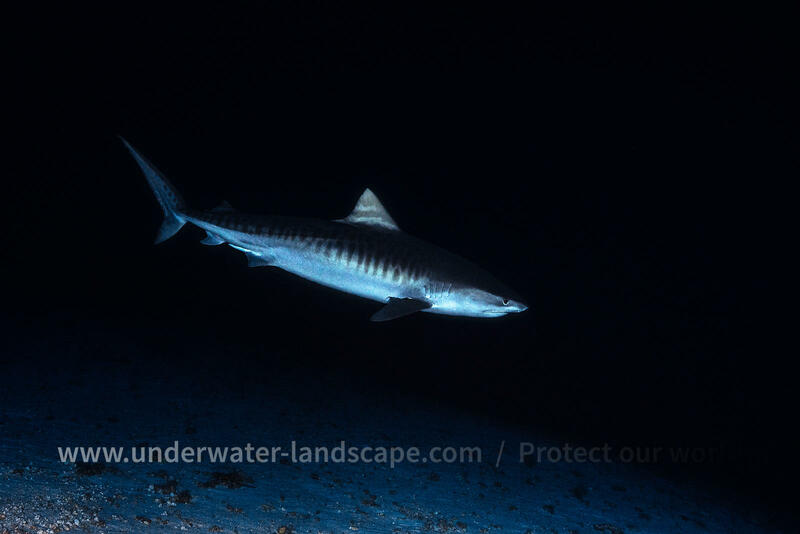 At a depth of 114 meters, a tiger shark comes out of the darkness to meet me. 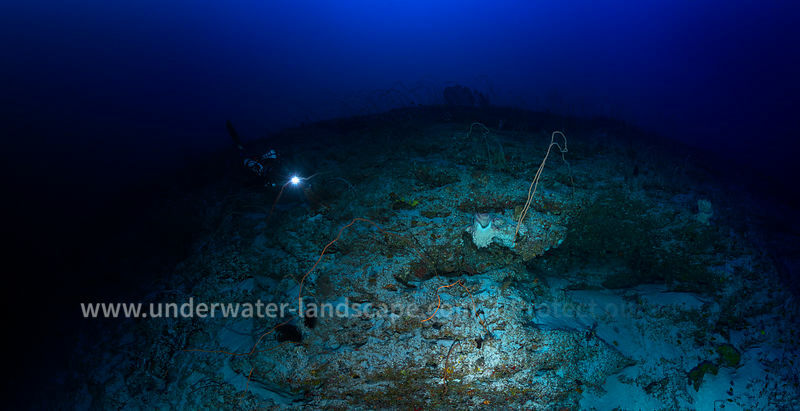 It is not surprising to meet such an animal at this depth because it is its area of evolution.